By using HTML5 you’re sure you’re applying the latest technology compatible with all major browsers and mobile devices. 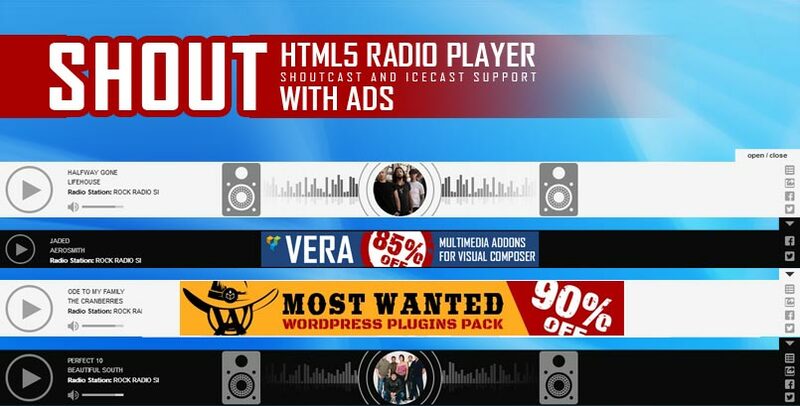 Enjoy 8 premium HTML5 radio player plugins with excellent features like ads support, full width, history, sticky version, artist bio, share, shoutcast stream and icecast stream. P.S. 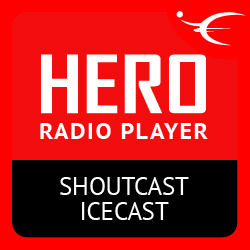 HERO – HTML5 IceCast & ShoutCast Radio Player With History is included in IceCast and ShoutCast HTML5 Radio Player jQuery Plugins Bundle. 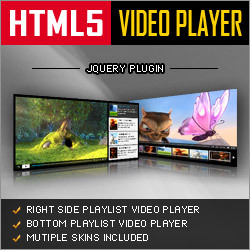 The bundle contains 3 Radio Player jQuery Plugins. You can purchase this package with a substantial 55% discount! This player allows your visitors to customize their experience, they can choose between different streams, enable or disable auto start feature, enable or disable flash as primary player and change color scheme. Its easy to set-up and add to any existing web site. 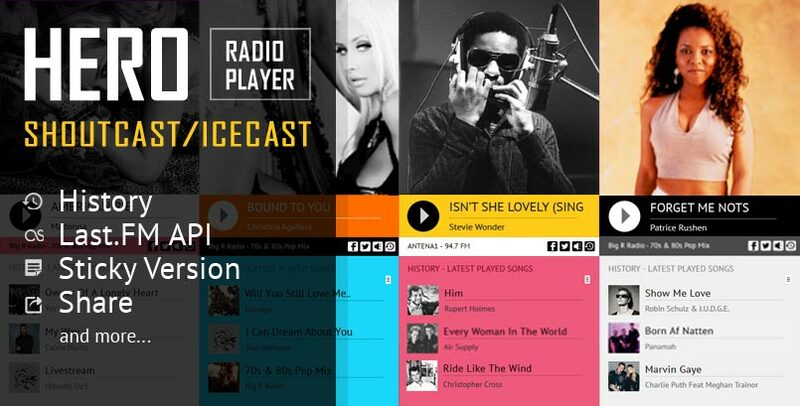 Sticky HTML5 Radio Player Full Width Shoutcast Icecast supports Shoutcast and Icecast radio streaming. The player uses Last.FM API to display the photo of the current playing singer. In addition you have over 70 parameters from where you can customize your player. 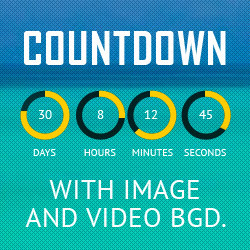 Therefore it includes: autoplay, initial volume, playlist, categories and color parameters. It supports Shoutcast and Icecast radio streaming. Radio Stream should be MP3 type, no support for AAC/AAC+ stream. Liner Radio Player it’s a simple beautiful tiny radio player for your site. Find the best sizes and colors for yourself and embed it in your page right now. 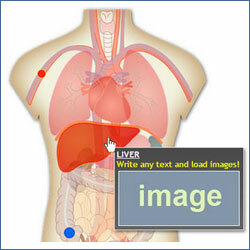 It works on tablets and personal computers, you can even embed it to your mobile HTML 5 app. 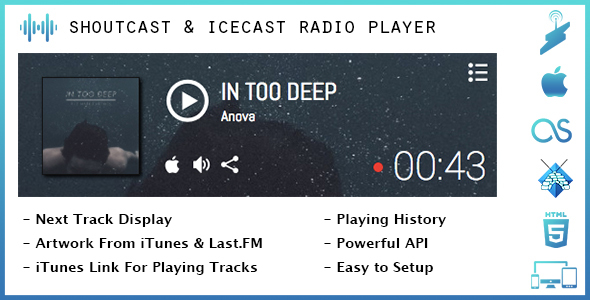 IceCast ShoutCast HTML5 Radio Player – jQuery Plugin with playlist, categories and search, supports Shoutcast and Icecast radio streaming and has over 70 parameters for customizing. The player uses Last.FM API to display the photo of the current playing singer. Over 50 js options from where you can customize your player, including: width, autoplay, colors and other parameters. 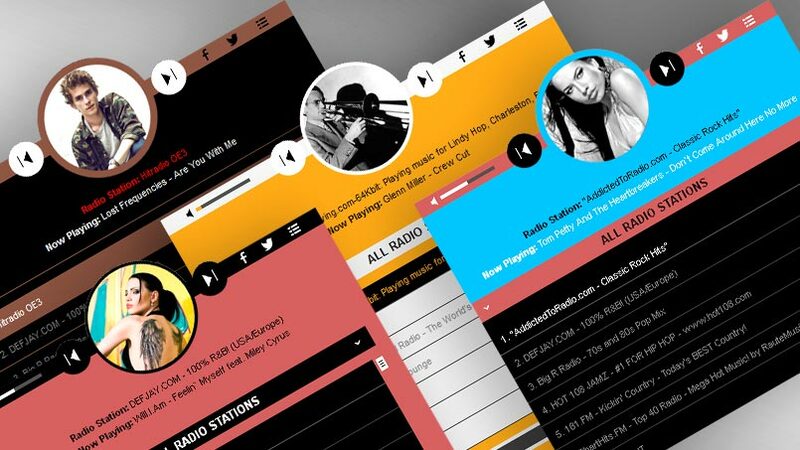 This is a web radio player for SHOUTcast and Icecast based on jQuery and HTML5, that comes with a powerful API. It pulls data directly from SHOUTcast and Icecast servers and retrieves corresponding images from iTunes and Last.FM based on the track title and artist name of the playing songs. You can choose from the 2 skins available: back & white. Also, from parameters you can create any color scheme for your HTML5 Radio Player With Ads jQuery Plugin. 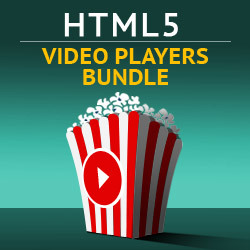 Need a HTML5 Video Player Plugins with YouTube, Vimeo and Self-Hosted Support? Check this article! If you want everything and something extra Check this bundle!